Awards season is already in full swing with the HFPA having awarded the Golden Globes this past weekend, and the LAOFCS announcing their winners last month. Often times, they are an indicator of who will end up being nominated or winning an Academy Award. However, actors, writers, producers, and directors in respective guilds and societies have their own awards that recognize its members. We’ve already seen nominations from SAG, WGA, and PGA, and now the Directors Guild of America have released their own nominees for film and TV. 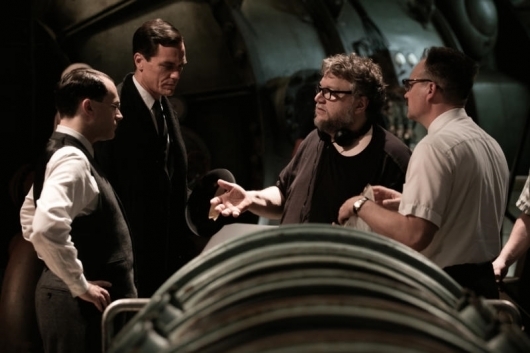 Among those honored are Guillermo del Toro for The Shape of Water, Greta Gerwig for Lady Bird, Jordan Peele for Get Out, and Aaron Sorkin for Molly’s Game. There’s also Christopher Nolan for Dunkirk and Martin McDonagh for Three Billboards Outside Ebbing, Missouri. Check out the full list below. Here are the nominees for directors in film. I won’t knock the DGA for recognizing Greta Gerwig, something the HFPA wouldn’t do, but you’d think the DGA would honor her with the Outstanding Directorial Achievement of a First-Time Feature Film Director just like Jordan Peele. He also was recognized for Outstanding Directorial Achievement in Feature Film. However, at least she got top honors, which could end up helping her get a nom for Best Directing at the Academy Awards. Now here are the nominees for TV.